Choose luxury vinyl tiles for your new floor, and you’ll get the same look as expensive types of flooring at a fraction of the cost. At Home Beautiful Flooring America, located on Daniel Webster Highway in Belmont, we have luxury vinyl tiles in many colors and patterns! Plus, our pricing offers discounts of 20 to 70 percent off the prices typically elsewhere. We can offer you lower prices from other stores because we don’t spend as much on showroom frills and decor. Just because you want a great looking new floor doesn’t mean you have to pay a fortune for it! 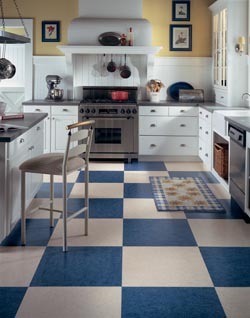 In Belmont, luxury vinyl tile floors are a sensible yet stylish investment in your home. The vinyl used to create LVT flooring is made with heavy-duty, long wearing materials, and has a layer of clear vinyl protection on top. This thick, clear layer keeps the floor from getting damaged by foot traffic, moisture, mold and even pet traffic. So, no matter how long you live in the same home in Belmont, luxury vinyl planks will stay looking new with just a little maintenance! Plus, we have many different patterns and designs for you to choose from. Home Beautiful Flooring America is here to help guide you through the process of getting your new floors. From answering any questions you have about the flooring material, to guiding you through the many types of luxury vinyl we have, to installing the luxury vinyl tiles in your Belmont home, we are here to help! To find out more about the discount luxury vinyl tile flooring we offer in Belmont, call us at <PHONE>, fill out the convenient form right here, or just drop into our showroom, located at 141 Daniel Webster Highway, right across the street from the carwash. We're proud to serve customers in Belmont, Laconia, Gilmanton, Wolfeboro, Moultonborough, Sanbornton, Meredith, Alton, Franklin, Concord and most of Central New Hampshire.